Hello, all you moms! I am a stepmom. You may be familiar with stepmoms from the thousands of fairy tales featuring them in a less-than-positive light. Isn’t that funny? Ha-ha. You seem at ease with me too, I have to say. I can tell by the large, fixed smiles on your faces and the way you are nodding at me like bobble heads. Maybe it would put you even more at ease if I answered a few of the questions that some people have when they meet a stepmom. No, I didn’t break up anyone’s marriage. I was not even aware my husband existed as a person in the world until well after his divorce was finalized. I am a little flattered that you think I look racy enough to be a home-wrecker, though. Yes, the kids’ mom is still in the picture. They see her all the time. She’s here right now, as a matter of fact. We get along fine. It will not hurt my feelings if you acknowledge her existence because I am a grown-up and so is she. Sorry if you were hoping for some hair-pulling and face-clawing. Maybe next time. Yes, the kids like me. Yes, I know I am very, very lucky. I have no idea what I did or am doing right. I just hope I keep doing it because they are awesome. No, my husband and I are not going to start “our own family,” by which I assume you mean having babies together. Do you often ask women about their reproductive plans? No, I do not think I am crazy to have willingly become a stepmom. No, I don’t think it’s funny when you say that, even if you accompany it with a laugh. These are great kids, and I love them, and this is my life choice. Perhaps you also enjoy it when people refrain from judging your life choices? Hey, we have something in common already! Yes, it’s OK if you refer to my stepchildren as my kids. You don’t have to then stumble over your words and say, “Um, I mean, they’re not your kids…” and then get embarrassed about that. Despite the fact that I do feel like one of their parents, I am not under the impression that I gave birth to them. More: Stepmom 101: How do you handle Mother’s Day? Now that I’ve answered your questions, maybe there are a few other things you might like to know about stepmoms. Things you wouldn’t think to ask. Did you know that even though I do quite a bit of the same stuff you do — pack the kids’ lunches, drive them to school, help take care of them when they’re sick — I am considered a “legal stranger” in most states? So if one of my step kids were in an accident and her parents couldn’t be reached, I couldn’t authorize her medical care. Just one of the perks of being me. Did you know that it is remarkably difficult to find good, supportive resources for stepmoms? There are several books out there, yes. They have titles like Stepmonster and The Courage to Be A Stepmom. I read a bunch of them and they freaked me out and I had to promise my husband I wouldn’t look at them anymore. Did you know that even though I love my step kids desperately and I am proud of them and all their accomplishments, going to events at their school is terrifying for me because of interactions like the ones I described before? Did you know that I secretly believe that you, the real moms, always know what you’re doing? Whereas I am over here stumbling around like an idiot, making it up as I go? Did you know intimidating you are? 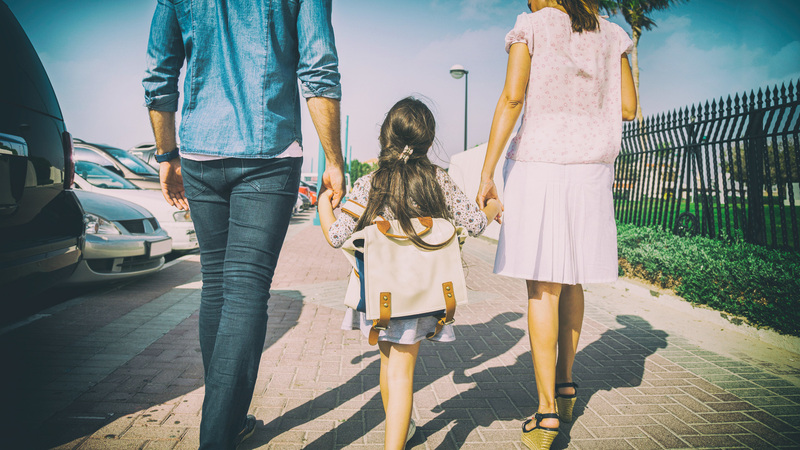 You have had so, so much time to learn how to navigate things like playdates and parent-teacher conferences and booster shots and back-to-school shopping. The first time I cleaned up a kid’s vomit? That kid was 17. Did you know that as biological and adoptive parents, you have a legitimacy in society that I will never earn, no matter how many years I spend washing my step kids’ clothes or helping them with their homework? And finally, did you know that when you become a stepmom, no one stops by with casseroles?